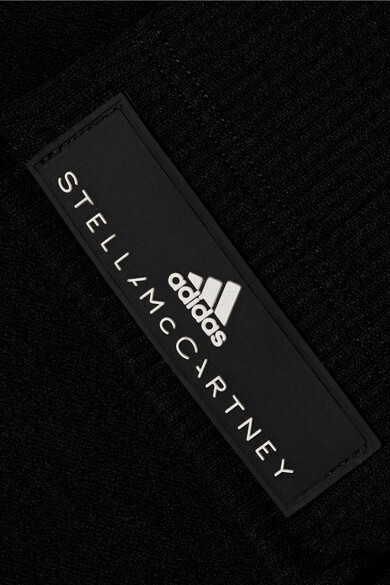 adidas by Stella McCartney's seamless 'Warp Knit' leggings are perfect for low-impact workouts like yoga and Pilates. They're made from recycled ECONYL® yarns and blended with plenty of stretch for flexibility and support. The high-rise waist smooths your core, while laser-cut holes help to keep you cool. Shown here with: adidas by Stella McCartney Tank, adidas Originals Track jacket, APL Athletic Propulsion Labs Sneakers, Bang & Olufsen Headphones.